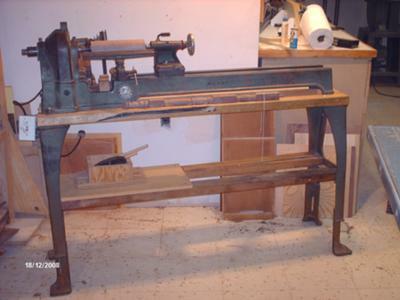 My son gave me a Walker Turner 36"wood lathe that he got at a yard sale near Madison WI. I used it to turn some spindle legs. I was not pleased with the results because the lathe is a little out of round. Probably needs new roller bearings. My guess is that this lathe come from an Industrial Arts shop at a high school in the Milwaukee or Madison area. I would like to restore it but don't know where to get parts. I call guys like you 'Wood-Weinies' You did not like the lathe. used Shopsmith, they will get the job done, but I'm sure you would 'blame' the machine again?